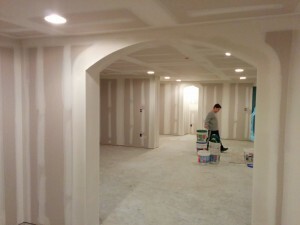 In my view a basement needs some fine touches that set it apart. 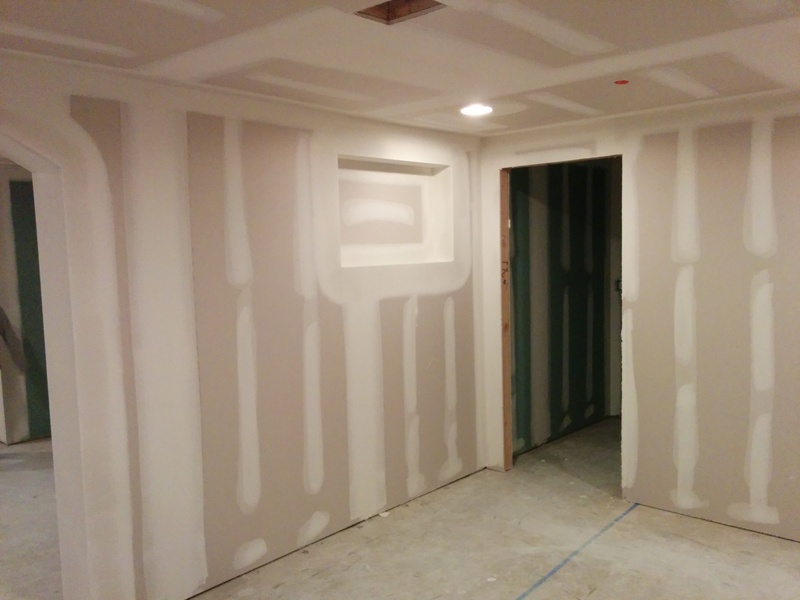 We want our basement to be a part of the whole house, but we also want it to have some touches that are unique. From my travels around Europe, one of these features are arches, reminiscent of the old basement warehouses in Antwerp. For example De Pelgrom and De Grotte Ganz are two restaurants that showcase the old basement – vaulted and arched roofs, deep rooms. Pretty cool. Arches in our basement will emulate this – although they will be somewhat refined – no pirate “arghs” here please (unless there is a lot of beer involved. 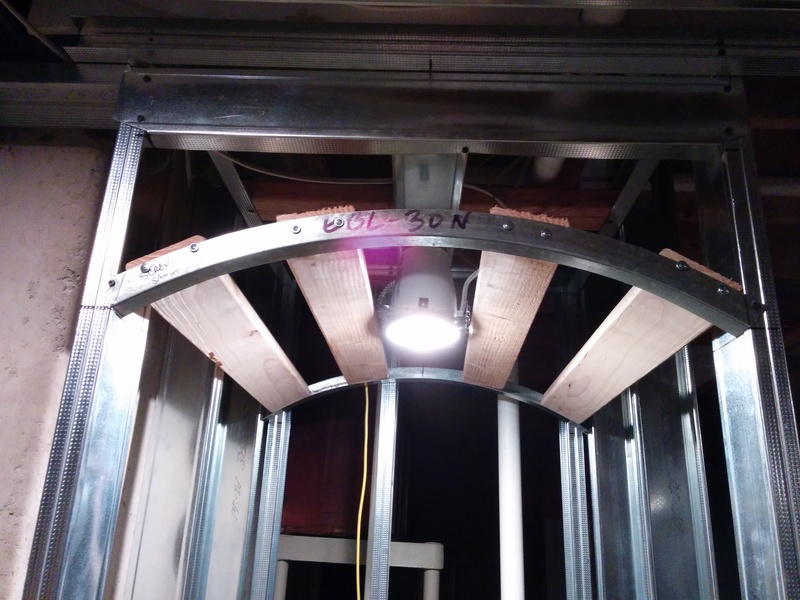 Here’s a gallery of some of the arches at the bare bones stage. One of these is the “TV Nook” for the exercise area. Not an arch, but a niche/nook. still a cool feature that is built to look like an old style room with built ins and such. We have another run of built-in cabinets along the wall that will be behind you when you are looking at the main theater screen. 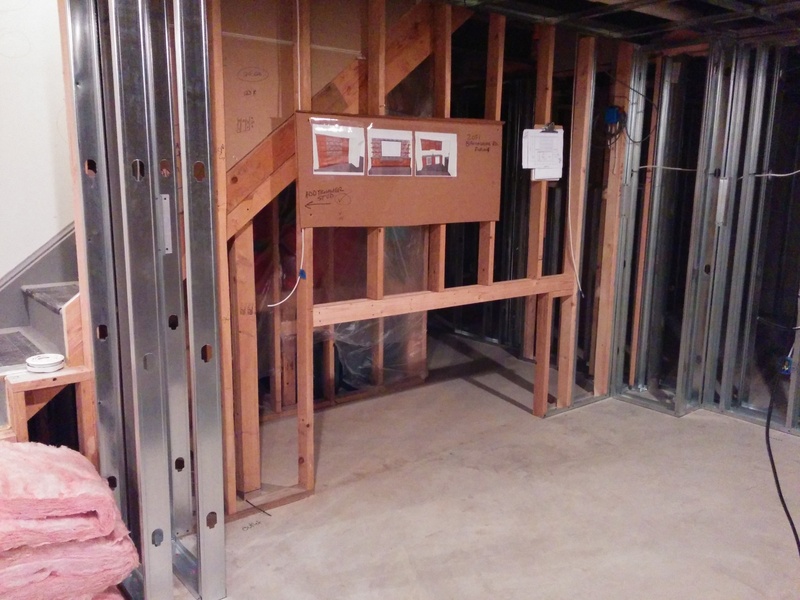 These cabinets will actually extend under the stairs – a great way to not lose that space. Here’s a shot of the framing for that. If you zoom in you can see the diagrams for what this will look like. 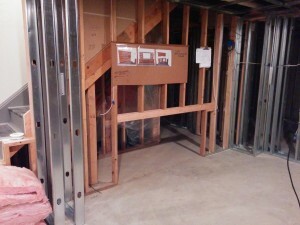 By putting the cabinets here we can also make an excuse for enclosing some support columns inside the metal stud work. The cabinets will be floor to ceiling. The rear surround speakers will also be located in these cabinets. A nice way to hide them I think. With sheetrock coming in here’s some pics. It is interesting to see the arch work. These are thin sheets that can bend. Pretty darn cool I think. Again we are pushing the limits of wordpress and its silly editor. After 3 – 4 coats of mud, things are starting to look pretty nice. The arches required quite a bit of shaping to get a finished appearance. I think they will probably get another coat and then some sanding. You can see the arch for the beer nook in the background too. There still quite a bit of moisture in the mud – that’s the discoloration on the right of the arch. It takes about 24 hours to really dry before the next coat can be applied. Here’s a good shot of the nook for the TV in the exercise room. Turning into one of my favorite features. I thought of this because I was worried that people walking by would catch their head or shirt sleeve on the TV when running by to the bathroom – especially in the dark during a movie break. We have a 43″ Samsung LCD panel to hang there. There’s an HDMI hookup to the home theater already in the wall. The home theater receiver has dual HDMI outputs so you can watch what’s on TV in here or I suppose something streaming on the PS4 or internet.